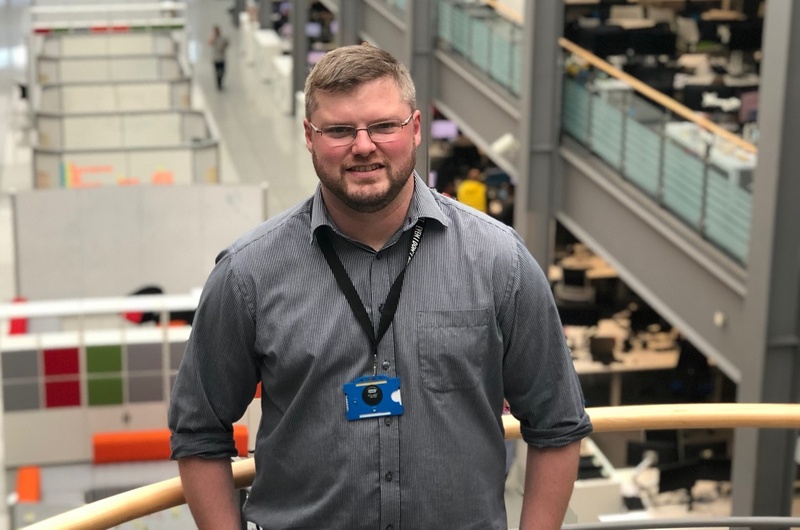 I'm Paul Shreeve, a Senior IT delivery manager working in HMRC digital. We are essentially what some would refer to as 'the IT department'. Right now we have 23 new job vacancies for IT delivery managers at various levels so I’ve written this blog to explain a little about what an HMRC IT delivery manager does and why these roles offer a satisfying and exciting opportunity for your career progression. Or at the very least an opportunity for a new start. What do IT delivery managers do? Our work is extremely varied and every day is different. We're responsible for the project management of work which centres around the large and complex IT change within the vast HMRC IT estate. This can be anything from digital projects where we update a legacy tax regime to bring it into the 21st century, to adding functionality and capability to large, back-end IT services. Everything we do helps HMRC stay up-to-date and keep up with the fast paced technological and cultural changes we see on a yearly basis. The work we do changes how millions of people interact with HMRC with a strong focus on their needs and their feedback. The scale of change within the Public Sector is staggering and very exciting. Being an IT delivery manager means having a good understanding of, and opportunities to develop, stakeholder management, commercial and contract management, risk and issue identification and mitigation, supplier management and many other transferable skills. The Civil Service is a great place to work and provides an environment of support and flexibility. There are many benefits such as flexible working hours, time off in lieu, travel and subsistence expenses and much more. We have modern IT hardware like our versatile 2 in 1 tablets and the latest Smartphones to help with working from home (when needed) and to support working out of the office if you're travelling. When I first joined IT delivery I was on the Civil Service Fast Stream and within a year knew this was where I wanted to cut my teeth career-wise. HMRC invests heavily in the learning and development of its staff. This can range from the normal managerial support all the way to a number of industry recognised courses such as PRINCE2, DSDM Atern, Management of Risk etc. There is also a wealth of experience within the IT delivery community so no matter the issue or challenge you face colleagues will be able to provide advice from personal experience to help you work through a resolution or way forward. In closing, and with no bias or agenda, I would wholeheartedly promote HMRC digital IT delivery to professionals looking for a new challenge. Really insightful blog entry, thanks!